Adopt a Crag season gears up! …and i’m nowhere to be found. It’s been a hectic end of March, and I’ve been working hard to finish up some projects and clear my table for the NEXT big project – getting a film made this year. Life can be complicated. But, as I remind other writers constantly, if you want to be an AUTHOR you have to WRITE. You have to write every day without fail. Even if it’s only a few thousand words, you have to write. Your passion for putting pixel to screen or ink to paper has to consume you completely. For years I have entered NaNoWriMo. 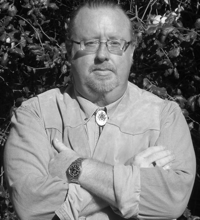 Not because I publish everything I write (which I do – mostly because I’m getting paid to write), but because it makes me set aside time – in the middle of screenwriting, book formatting, empire building or whatever I’m doing that day – to sit down and write. So far, I’ve hit every single 50,000 word-per-month goal. If you’re a writer – and you’re serious about the craft, then I recommend you check out NaNoWriMo and it’s offspring Camp NaNoWriMo. You can never have too many attainable goals! You can find out more about NaNoWriMo HERE. 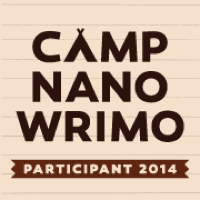 You can find out more about Camp NaNoWriMo HERE.